Need some breakfast inspiration for those mornings where you’ve got to run out the door? Look no further! 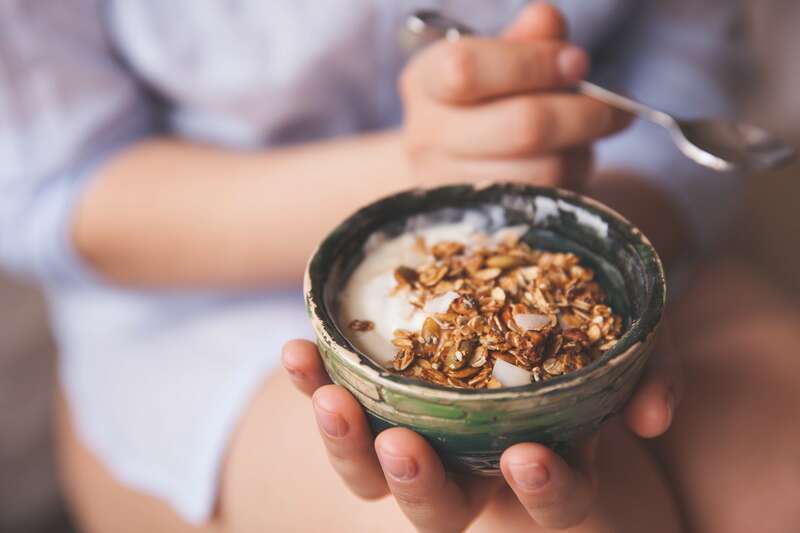 Our very own marketing guru a.k.a nutrition coach, Josie, (@josie_eatyourselfstrong) has come up with three easy, healthy breakfast ideas that are the perfect combination of carbs, protein and fats giving you that boost you need in the morning. Plus, they’re super easy to whip up and only require a minimal amount of prep. In the morning add toppings of choice or enjoy as it is! *Protein powder can be any flavour – we recommend vanilla or chocolate. You can also make this recipe without protein powder if you’d prefer to or don’t have any. You can keep these in the fridge for a few days – prepare on Sunday and enjoy for the rest of the week!